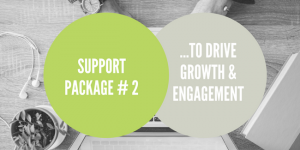 We offer a range of social media packages for companies in Northamptonshire and Buckinghamshire that are looking to outsource their social media to a trusted, experienced marketing partner. Popular social media starter package for those looking to build their organisation’s social media presence. We work with you to develop and then grow your social media presence on two platforms. Prices start from £150 per month – elements can be tailored to your requirements. Perfect for B2B professional services companies looking to use multiple social media channels to boost their digital sales funnel and drive growth and engagement. This social media management package and can be bespoke for your requirements to include some content management. 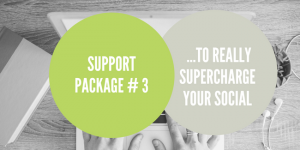 This supercharged social media package puts in the time to manage and grow your social media presence across multiple channels. Perfect for organistaion who are committed to social, have invested in quality content and / or use it as a customer service channel. To start, we offer an initial free consultation meeting to assess your social media requirements. We then develop a bespoke social media marketing package that is best suited your requirements. We charge an initial set-up fee of £295 on commencement which can include a social media and content audit. As a leading Northamptonshire social media management agency we combine experience and expertise to provide a one-stop outsourced social media management service for local SME’s across Northamptonshire, Bedfordshire and Buckinghamshire. To find out if we will make a good social media agency partner for your business call Sharon French, a social media expert and chartered marketer, on 01327 810003 or complete our contact form, below and we will be in touch. For both professional and trade services SMEs looking to bridge the gap between their social media management requirements and their in-house capabilities. We manage social media on behalf of a range of clients across the retail, IT, leisure and professional services sectors in Northants, Beds and Bucks. We act as the in-house social media function – taking away the hassle and ensuring organisations reap the benefits of social media.